to start fresh! If you haven't heard over at Inspired by Family Mag 12 bloggers are giving away $110 to a lucky reader. 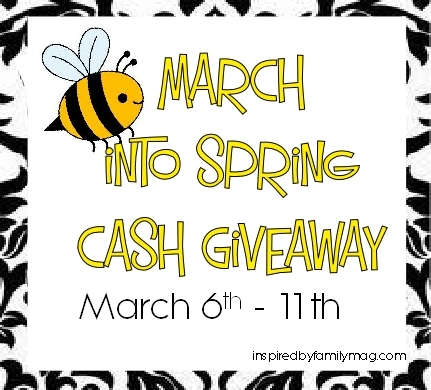 Some lovely bloggers who love their readers and myself have joined up to bring this $110 Cash Giveaway to you. Joining in the fun are Marty's Musings, De Su Mama, Mothering From Scratch, Inspired by Family, True Aim Education, She Shares, Royal Baloo, The Mom Cafe, Petit a Petit & Family, The Meaningful Mama, Mercy Ink Blog and Stephanie Page.